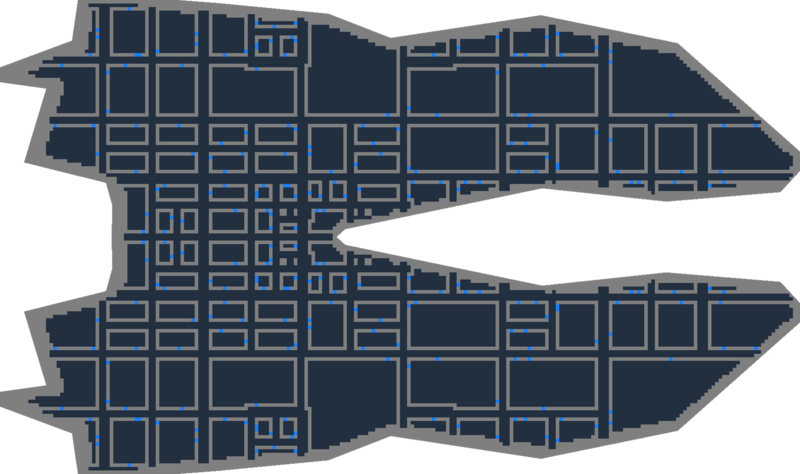 Interiors are Generating, Pathfinding is Working, Now onto Gameplay! 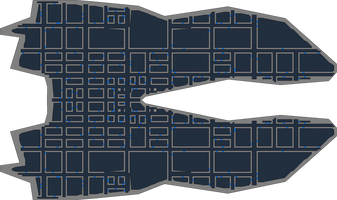 Interiors and pathfinding are running well enough to start working on the actual gameplay of ship boarding! Next week is looking good to release a very basic version. The three pictures show the different level of detail that can be applied to the interiors. The first picture show the most detail, rooms are converted into polygons (instead of the tile or "blocky" look of the other two pictures). This occasionally has some errors I'm still sorting out, but it's good enough to move on. The middle picture has the polygon rooms turned off but still adding edge-detailing and noise. The right picture shows now detail at all, and in turn, is created faster than the others, but only ~33% faster. These settings can be tweaked in the settings file. So, to wrap up, I'm confident I can get a basic ship boarding out sometime next week. After that, I'll probably work on the physical aspects of the empires, so when you're boarding you could be fighting against Klingons or could be Ewoks.